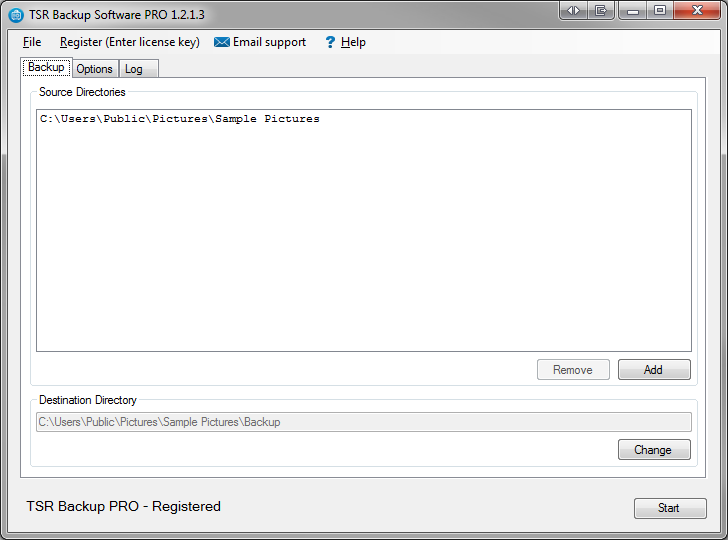 TSR Continuously Backup Software - Easy to use file backup software. Download now and you can have your backup running in less than 5 minutes, restoring backed up files takes only seconds. All files are copied to your backup destination automatically and continually, this way you will never miss a file if it gets deleted unintended. You control what is backed up and how often, everything else is taken care of by the software. All files are backed up in a logical structure so you can restore files in a matter of seconds, no hassle. Secure you files by creating a copy of your file structure in the defined destination directory. Fast and easy restore of files with TSR Backup, all files are copied in the existing file and directory structure. Improved protection by continually backing up files even while you are working on the computer. No need to worry, software is updated automatically.